The weather has decided to cooperate for Downtown Racine's first hosting of the statewide carving competition! Come downtown for this great event. We will be having a sale on our "Icy Collection" of Diamonds, Blue Topaz, Aquamarine and Blue Zircon jewelry, bead strands and loose stones. Stop in and warm up with some coffee or hot chocolate, we hope to see you. We love our customers! To show our appreciation, come enjoy refreshments and a chance to win an Art Metals Studio gift certificate. 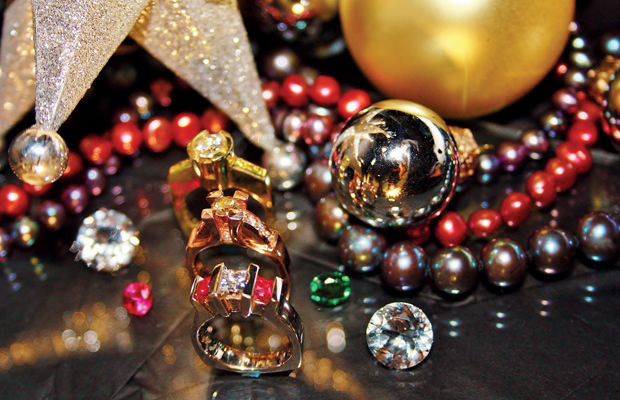 While you are in, check out our holiday pieces and a “pick your own” discount on any purchase.